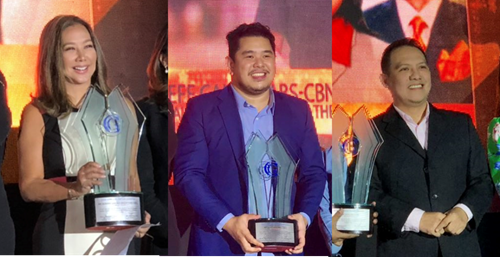 Members of the academe honored ABS-CBN programs and personalities led by broadcast journalists Korina Sanchez-Roxas, Jeff Canoy, and Alvin Elchico at the recent 2018 COMGUILD Awards. 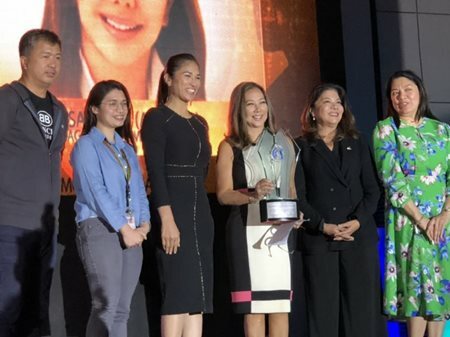 Korina won Best Magazine Show Host, while her program “Rated K” won Best Magazine Show. Jeff and Alvin, meanwhile, were awarded Best Male Field Reporter of the Year and Most Outstanding Male News Presenter of the year, respectively. 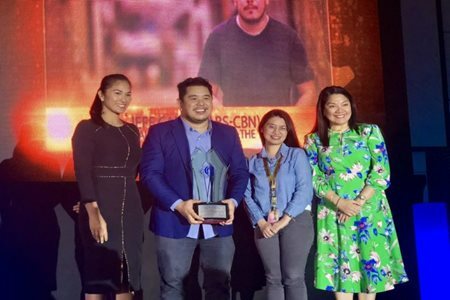 In a report on news.abs-cbn.com, the three pledged to continue searching for the truth and reporting the stories that matter to Filipinos even as traditional forms of media and journalism are constantly attacked. “In these times that truth is being twisted and lies are being used to cover up mistakes, this recognition gives meaning to everything reporters do every day,” Jeff said. “The people will demand more from us. We should do more and strive harder so we are not left behind because this is what the Filipino asks from us. They are not satisfied with what we used to do so this is why we have to do more,” added Alvin. Korina also said the awards inspire her team to keep searching for good stories. “The most important stories are those of ordinary people,” she said. “TV Patrol” also won Best News Program of the Year, “Tonight with Boy Abunda” won Best Entertainment News Show, while host Boy Abunda won Best Entertainment News Show Host. In the radio category, MOR 101.9 host DJ Chacha won Best FM Radio DJ. The COMGUILD Awards is given by collegiate educators from over 70 schools and awarded annually during the “COMGUILD Media and Technology Students Conference” attended by student delegates from all over the country.